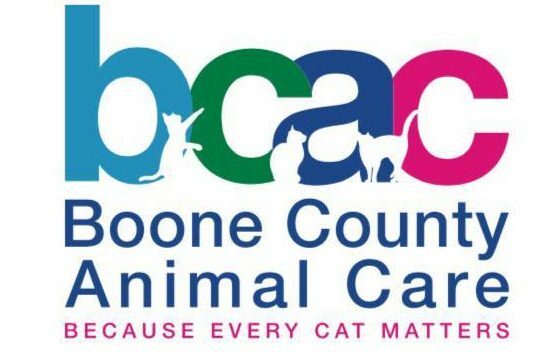 All of our cats are provided to us through our partnership with Boone County Animal Care, the only local rescue group that focuses solely on cats. "Boone County Animal Care is dedicated to helping pets find and stay in loving homes. A significant focus of [the] group is trap, spay/neuter and release as an effort to reduce the overpopulation of cats and kittens." Because many of our cats have their roots in the stray and feral population, you will notice quite a few "tipped" ears. You can follow BCAC on Facebook for updates on how to help their efforts, or visit their website to get information or donate to help their efforts! If you are interested in adopting one of our cats, here is an info sheet about adopting from Papa's and BCAC. Then, you can fill out the adoption survey here. We have three permanent residents, but the rest of our cats are adoptable. We'll do our best to keep this part of the page up to date. Hopefully our cats get adopted frequently enough to make that a challenge! Photos of Corde and Frankie by Melissa Jane Photography. Corde came to us at 10 months old. She is our resident playful cat, willing to sacrifice her safety to get to a cat dancer. When she tires out, she loves to get pet. Frankie is Corde's opposite in almost every way. This 14-pound, four-year-old just wants to sit on your lap. If she's hiding in a bench, reach in and rub her chin. Be warned: she may never let you leave. Pedro is our "Hemingway" cat. He is a four-foot polydactyl, with 24 toes in all. He's playful, he's a lap cat, and he's got a long way to go before he grows into those "kitten mittens."